For use with the Jemini Intro Modular Reception Desk, this 1600mm riser creates a stylish Warm Maple finish counter for your reception. 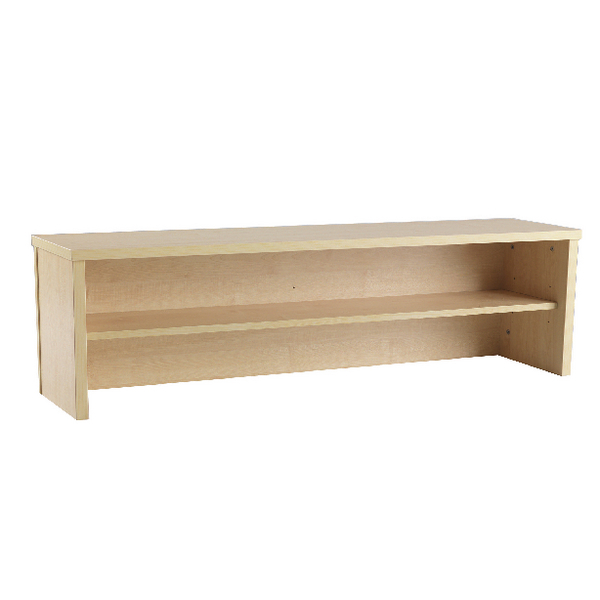 The counter also features shelving underneath for additional storage and measures W1600xD300xH405mm. Designed for use with the Jemini Intro 1600mm Reception Desk.